Get you fryer going or add oil to pot appropriate for frying and fill to no more than half full of oil. Form potatoes to 2 inch long cylinders - they should be approximately tater tot shapes. Balls are fine, as well. After cooled enough to handle, eat. Why buy frozen when you can make your own tater tots at home? 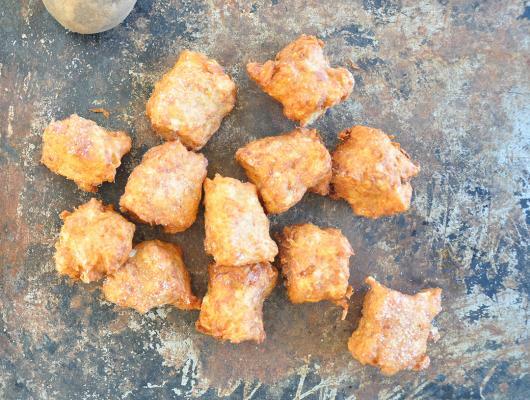 This recipe is easy and makes some dang good tots! Really, this is a matter of shredding potatoes and deep frying them. There is a bit more to it, as you need some binding, flavoring, and make sure to manage the moisture, as water in a deep fat fryer is not good. 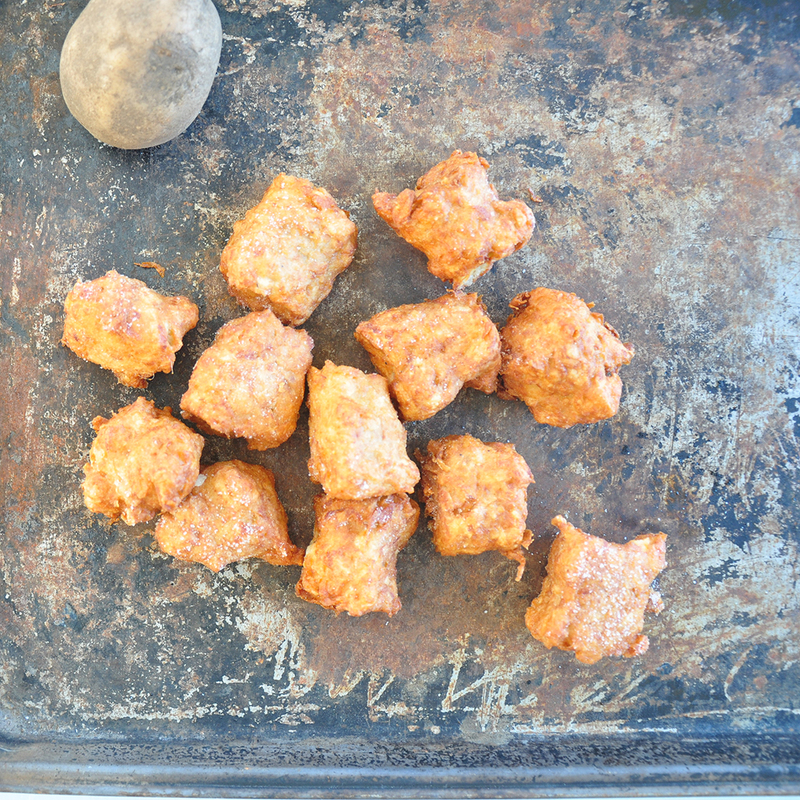 This recipe is in preparation to making a from scratch tater tot hotdish recipe.